Ever since you were a child, you dreamed of flying amongst other racers with your dragon, and so, when the chance came to become one, you leaped for it. But, things are not always so simple. It’s 25% off until February 7th! 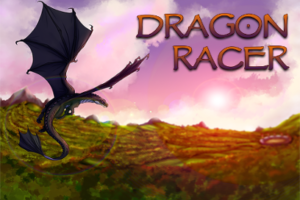 Dragon Racer is a 420,000 word interactive fantasy novel by Tierra Wright, where your choices control the story. It’s entirely text-based—without graphics or sound effects—and fueled by the vast, unstoppable power of your imagination. Will you show all of those who doubt you that you have what it takes to ride with the greatest dragon racers? Will you form bonds with them, stronger than you ever thought possible, or will you use those around you to simply push your own agenda? • Play as male, female, or non-binary; gay, straight, or bi. • Name your dragon, and help shape his personality. • Train your dragon in three different areas of racing. • Fly you dragon in many different racing events. • Learn the truth about your past and uncover the secrets of Abauruth. Tierra Wright developed this game using ChoiceScript, a simple programming language for writing multiple-choice interactive novels like these. Writing games with ChoiceScript is easy and fun, even for authors with no programming experience. Write your own game and Hosted Games will publish it for you, giving you a share of the revenue your game produces. Had me squealing, crying and dying of frustration. Can only hope there is a sequel to this masterpiece.